In Madrid there are dozen of bars which are very special. Because they have been open without interruption for more than 100 years. They are called “The Centenarian Restaurants and Taverns”. In these places you can immerse yourself in history as they have maintained their traditions, service, value, gastronomy and atmosphere throughout all these years. If you are in Madrid you cannot miss visiting any of these places as they have sept the old capital´s spirit. When you find yourself in one of these bars you can easily recognise it as there is a golden plaque just outside the entrance (see below). 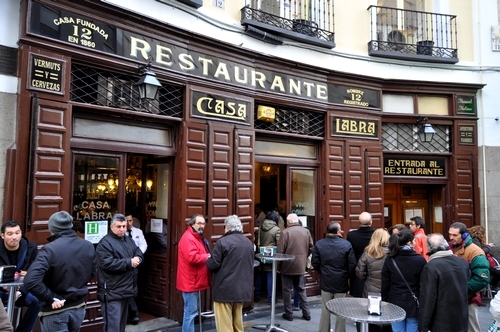 Casa Alberto was opened in 1827 , which makes it one of the oldest taverns in Madrid. The place kept its original decoration such as the zinc counter and the furniture. Their top dish is the oxtail stew (Rabo de Toro) which is cooked the exact same way as it used to be 150 years ago. We recommend you accompany it with their home made Vermuth. 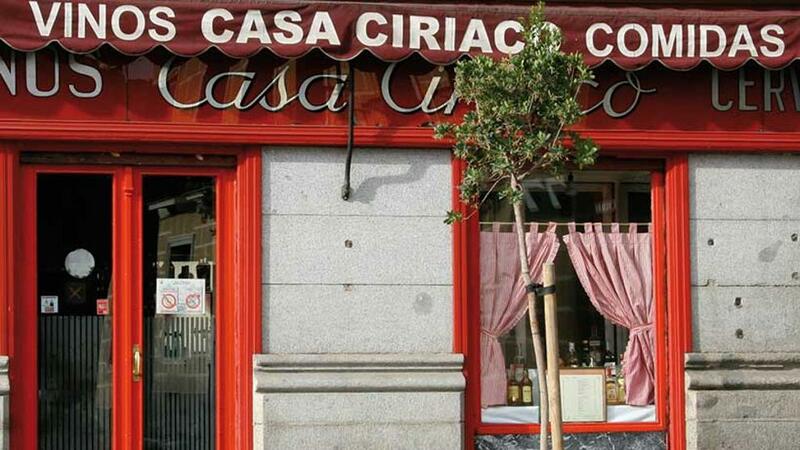 Casa Ciriaco is located in the heart of Madrid and was opened in 1887. It is well known all across Spain because of the unpleasant event that took place here, on King Alfonso XIII’ s wedding day, in 1906. An anarchist threw a bomb from the top of this very building, but the king and the queen could survive it. 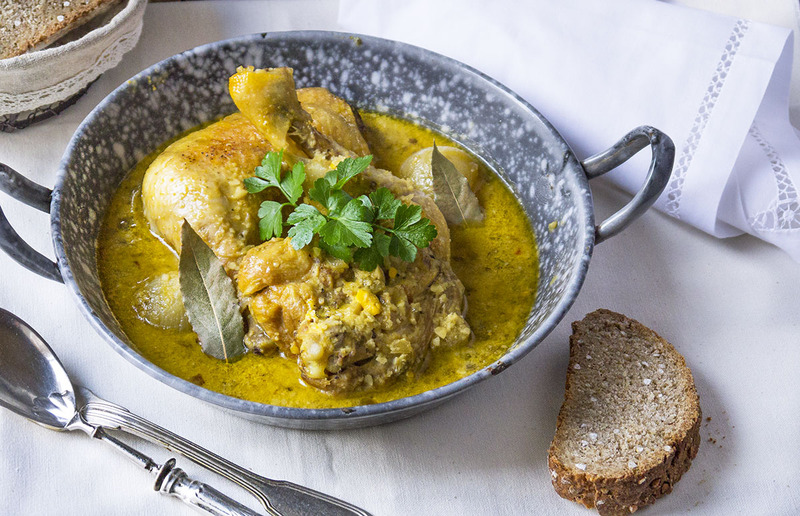 Pepitoria de Gallina which is a 100 years old recipe (chicken slowly cooked in wine with saffron and almonds) with a glass of Ribera del Duero red wine. Centrally located Casa Labra is just behind the main square Sol. This is one of the most popular bars in Madrid. It was founded in 1860 and it is famous because this is where the Spanish Socialist workers Party was created. It is usually busy during lunchtime and dinner time, and it is very common to share your table with other costumers, as, sometimes there are just too many people. There is no better way to say a few words to some locals and maybe brush up on your Spanish! 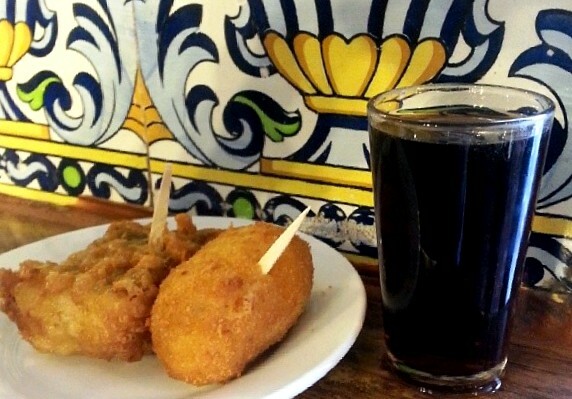 Its famous codfish croquette (croqueta de Bacalao) with a cold beer or a vermuth. It is rather a restaurant but we have decided to list it here because of its importance in Madrid. If you wish to step back in time, we recommend you have lunch in Lhardy considering it is one of the first restaurants in Spain that was founded specially for Madrid´s noble people´s refined taste. It was opened in 1839 during the Romantic period and it was visited by Madrid´s most important politicians, aristocracy as well as the kings . You will be able to have a luxurious lunch or dinner in one of its original and beautiful dining rooms such as the Sala Isabelina or the Japonese Salon. Madrid style chickpea stew with a glass of Rueda wine. It was opened in 1786 in the Lavapies neighbourhood and until today it has mantained its original decoration such as the old gas lamp or the elevator which was used to bring bottles from the cellar directly to the bar. The owners have always been into bullfighting (Antonio Sanchez being himself a bullfighter, was the one who decided to open this bar). In fact, you will be able to see paintings of bulls and pictures and famous ‘toreadors’ on the walls. Madrid´s traditional dishes such as the Callos (Madrid’s style tripe) or the popular tortilla de San Isidro (omelett). 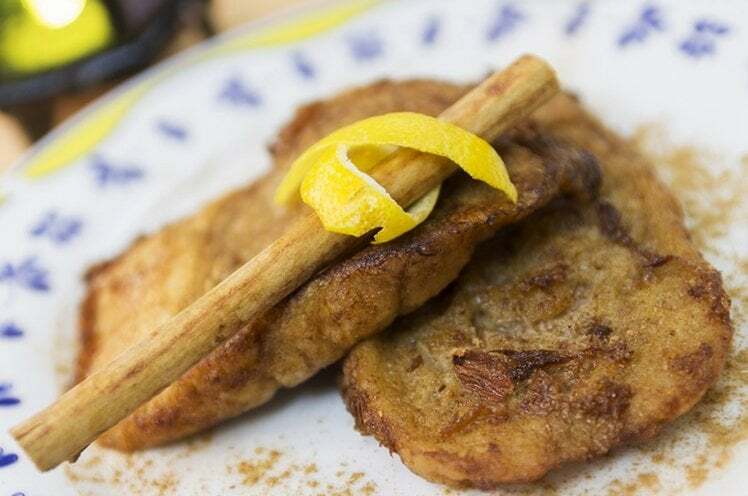 However, note that its most famous dish is la Torrija (a dessert made of slices of bread soaked in milk) which is available only in Easter time and days before this feast. 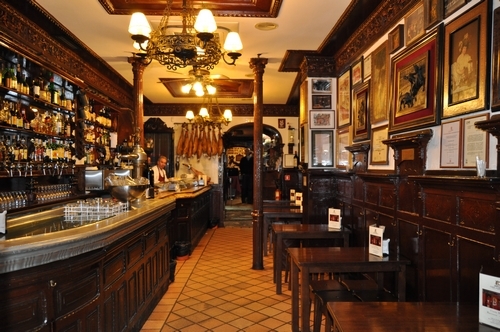 Which traditional bar would you visit while you are in Madrid?